Come join us for an evening of dancing, hors d'oeuvres, dessert, live auction, live performances and more!! Ticket price includes food and open bar and a gift bag. Limited amount of tickets available so don't wait!! Admit one -ticket price includes food, open bar and gift bag. If you cannot join us on September 13th, please consider a donation! 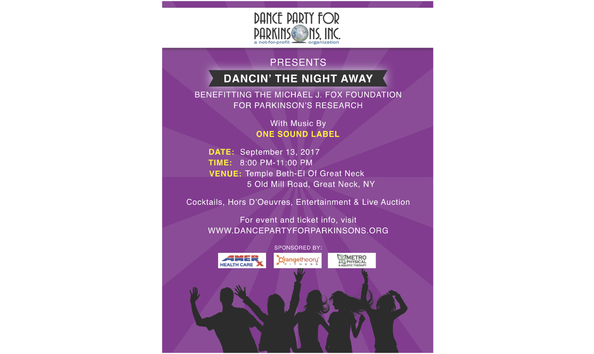 Name: Dance Party For Parkinson's, Inc. Description: Our mission is to fund Parkinson's research and other programs that enhance the lives of those living with Parkinson's disease.